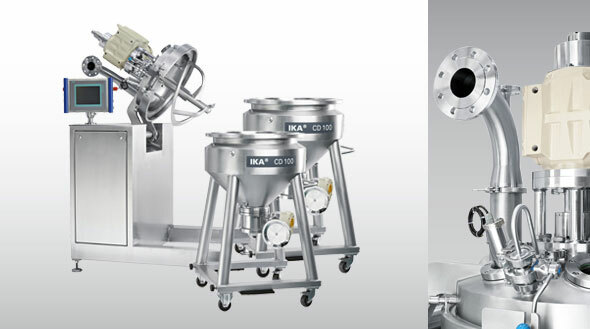 The new IKA Conical Mixer serves for mixing of free flowing solids, whereas the Conical Dryer has been designed for vacuum contact drying of different solvent humid solids. Both can be used to process products with different bulk densities and particle sizes. The Conical Mixer drying vessel guarantees a complete product discharge and can easily be thoroughly cleaned. The vessel of the basic version mixer is single walled. 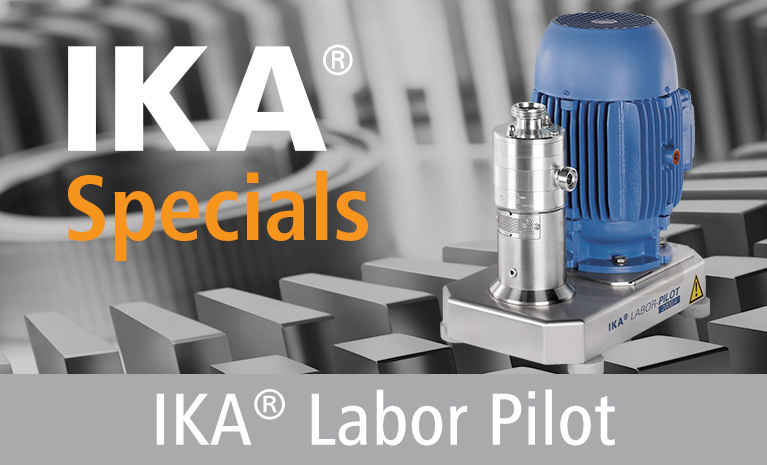 The IKA Conical Dryer vessel and cover are equipped with a double jacket for heating. This jacket ensures optimum energy input, uniform humidity and temperature distribution throughout the whole product area. The product is intensively mixed by a special spiral agitator, which – in case of the dryer – can also be heated. Resulting solvent vapours are extracted by a reversible flow dust filter. The conical mixer as well as the conical dryer are available with optional cover tilting device and vessel slewing mechanism. The inclination of the working vessel offers important advantages in mixing of the complete product, as gravitation additionally effects on the product to be mixed/dried.